After spending 25 years as a Chef, and having a life time passion for dogs, I decided it was time for a career change that allowed me to work with dogs. I always love meeting new dogs, and their humans and seeing the before and after transformation of the dogs. My reward is the affection the dogs give me and how excited they are after the job is done. The dogs always come first to me and I treat them all as if they are my own. 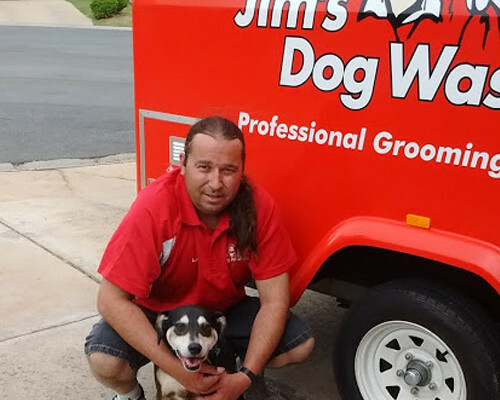 Next time your dog needs a little TLC and you want the best for them, then look no further, give Jim’s Dog Wash a call on 131 546.